3 Easy Steps To Make Your Children Start To Love Vegetables - I Am Proud Of My Kids! Have you ever tried to involve your kids in the process of making food? That’s just the first step! Invite them to cook with you and tell them the importance of all the ingredients. The most important thing is to make them realize that healthy food it’s not as bad as they think it is. Maybe you’re not an specialist in healthy food, so enjoy the moment with your kid and research about it together. Take them to buy groceries with you and make them feel that it’s their mission to find the most colorful vegetables because they’re the healthier ones. Instead of buying groceries every week, you can grown your own vegetables. Invite your children to build a small garden to grown their favorite things! They will definitely feel that they have the responsibility to don’t let the plants die and they will be happy and proud to see the results. After all the process of picking the ingredients, it’s time for some action. Find out what’s your children favorite character or cartoon and create a colorful and fun themed meal. It’s not that hard to make kids impressed, just use your creativity and have fun. 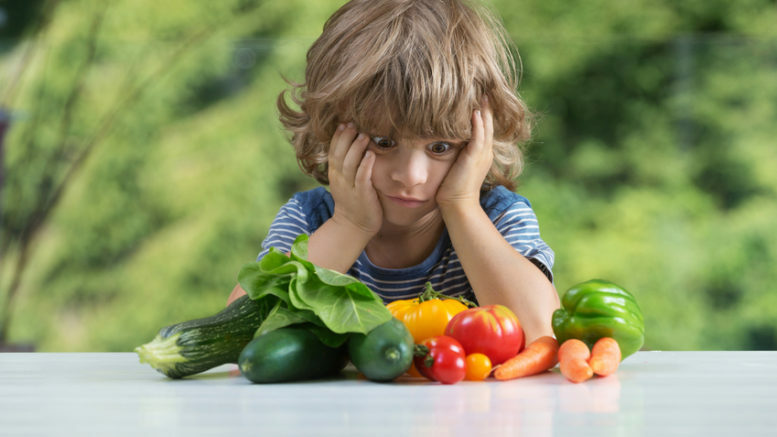 Be the first to comment on "3 Easy Steps To Make Your Children Start To Love Vegetables"